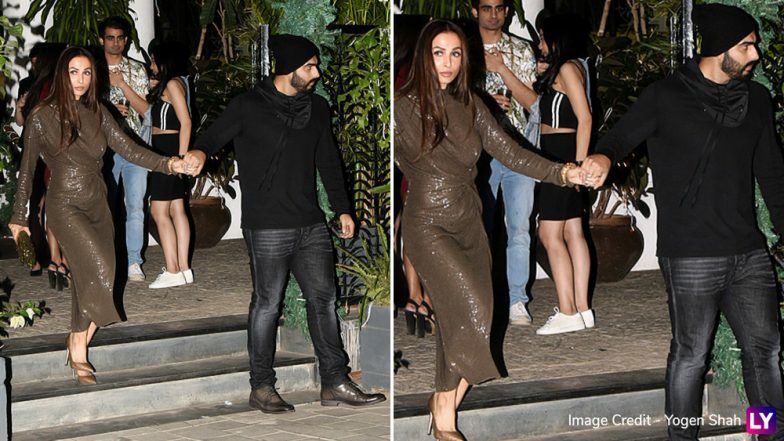 Malaika Arora and Arjun Kapoor have been topping the headlines ever since the duo started to step out together for events or any other casual outing. Though the lovebirds have remained tight-lipped about their relationship, their joint appearances or holidaying pictures have become talk of the town. Be it their age-gap or buzz related to the wedding, the couple’s fans are curious to know when they would be taking their relationship to the next level. Some time ago there were rumours stating that Malaika and Arjun’s wedding would be happening in April 2019. And guess what, the actress has finally opened up about her marriage rumours. Arjun Kapoor and Malaika Arora's Recent Hospital Visit is Making Us Curious. The buzz was Malaika Arora and Arjun Kapoor were planning to tie the knot in this month and the date that was being said, was April 19. It was also speculated that the wedding would take place in both Hindu and Christian rites. But as April 19 is observed as the commemoration of the death of Jesus Christ (Good Friday), the couple postponed the date. And when pictures of Malaika and Arjun from their Maldives vacay hit the internet, many even started to assume that it was their bachelorette trip. Malaika Arora's Instagram Story is Dropping Hints About Her Relationship with Arjun Kapoor? This just added fuel to the wedding rumours and the next big discussion was, Malaika Arora and Arjun Kapoor are getting hitched in Goa. The couple never admitted or denied about the wedding rumours, but Malla has finally spoken about it. In an interview to Bombay Times when Malaika was asked about it she replied, “There is no truth to these silly speculations.” So here you go! Malaika has made things pretty clear.